There are two primary Credit Bureaus (or credit reporting agencies) used in Canada: Equifax and Trans Union. Credit Bureaus receive information on a regular basis from companies that lend you money or issue you credit. The Credit Bureaus record how you manage your payments to those companies (e.g. do you pay on time, do you pay the full balance, etc.). They also monitor your credit inquiries (how often you have shopped for credit), collections and judgments. 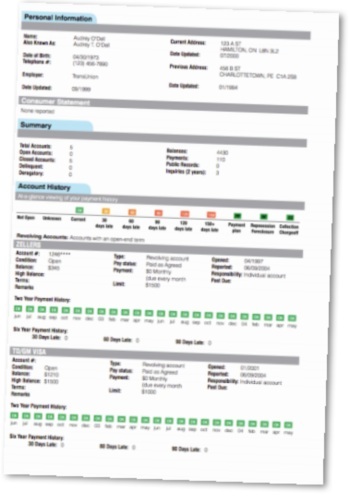 Lenders use this Credit Bureau Report as a tool in deciding whether or not to lend you money or give you credit. Bankruptcies are indicated on your Credit Bureau Report for seven years from the date of discharge in Ontario. Although a bankruptcy or proposal can reduce or eliminate your credit worthiness for a period of time, some lenders, including Ezee Credit, believe it shows you have dealt with your past debt and have the capacity to handle new debt obligations. 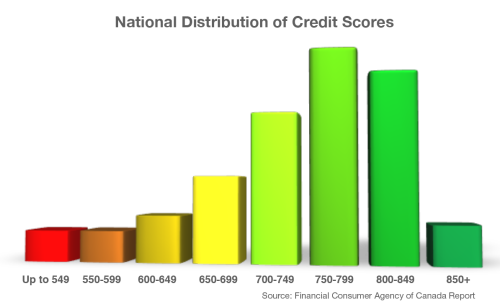 Your credit score provides a numerical snapshot of your financial health, based on your reported credit history. It provides lenders with a simple measurement of the risk involved in loaning you money. The major Canadian credit reporting agencies use a scale from 300 to 862. The higher your score, the lower the risk to a lender. Some lenders will automatically approve a car loan if your score is above a certain number. If it’s below that number, they put more weight on the other factors, such as your debt service ratio. Your Credit Score can also influence the interest rate of your loan. Your Debt Service Ratio is the amount you owe each month – for your rent or mortgage, credit cards and loans – compared to your monthly income before income taxes and other deductions. Lenders prefer a debt service ratio below 40% (e.g. If you owe $800 each month, you must have a monthly income of at least $2,000). Some lenders consider how long you’ve been in your current job and lived at your current address. In general, the longer, the better. Steady, full-time employment is what lenders prefer – though job changes in the same industry or line of work are often viewed as the same employment. Part time jobs, on the other hand, may be given less weight or disregarded completely because they are seen as a less reliable source of income. Pensions and disability income are also viewed poorly because they may stop under certain conditions – and because lenders face restrictions on garnishing these types of income if you default on your loan. Residence stability is particularly important if you have very poor credit. Lenders are worried that you’ll move, "skip" or become a "flight risk" without paying their loan. Residence changes within a certain geographic area are considered better than moves over long distances. Having a co-signer for your bad credit car loan can improve your chances of being approved with better terms and a lower interest rate. 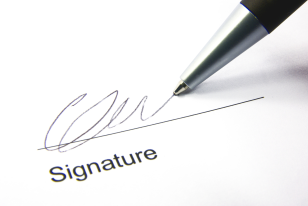 Depending on their financial stability, the best people to have as co-signers are a parent, or someone who will also be using the vehicle, such as a wife or partner. Friends and acquaintances are not as highly regarded as relatives. Lenders generally believe such co-signers are less likely to make payments if you default on the loan because they don’t rely on the car directly – and are not related to you. 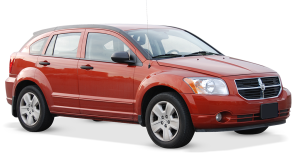 how much a lender will finance on which vehicles. That allows us to target the right lender(s) without over-shopping your credit. In many cases, the best option may be a shorter term lease that Ezee Credit finances directly. Find out what you qualify for with our easy online application.